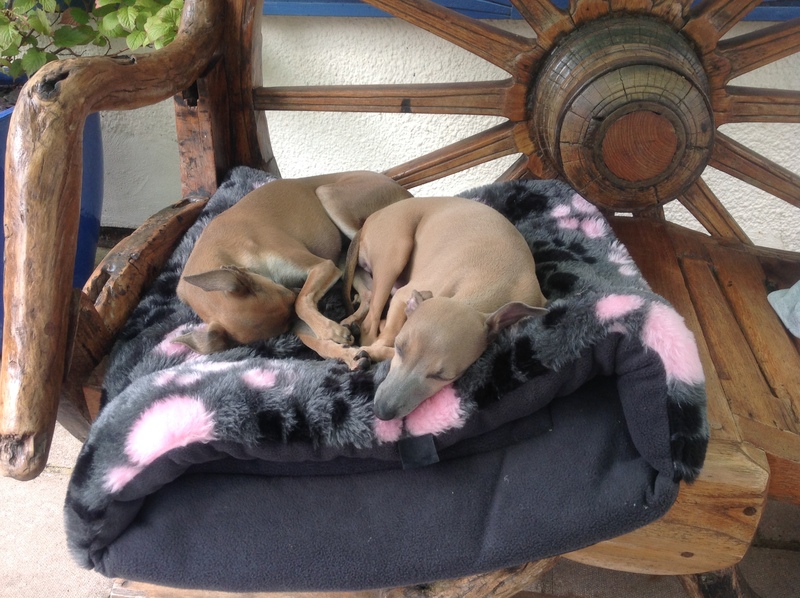 Italian Greyhounds are curious, intelligent little dogs who can be surprisingly willful but with the right approach training your Italian Greyhound can be very rewarding. Basic training classes will be a good idea in the long run but at the very beginning will almost certainly be overwhelming and detrimental. Start with building confidence with your IG through lots of positive reward-based training and then quietly introduce more people one by one, at home where he or she feels safe, but waiting for the dog to come to them and not forcing any interaction, Italian Greyhounds are generally aloof with strangers, however, once confidence starts to build a good training class (with small groups and an understanding instructor!) will be useful. This is Ann and John’s experience of finding puppy training classes for their IGs, Alice and Nell. Not having been to a puppy class before we looked on the web, found a local class, turned up and paid for a 6-week course. The venue was a very large barn with multiple classes going on at the same time, about 50-60 dogs in all. The floor surface was as they use for horses, like fine shale. Not long after being there with the big dogs running about you could hardly see from one end of the barn to the other for dust! The puppy class was split into two with about 12 puppies in each class and we felt that 12 was far to large a class and after going for only two weeks we decided not to attend again. At our second attempt we found another club and what a difference, we went along just to have a look and were so pleased we joined in immediately, the venue was a small Church hall, the class only had 6 puppies including 5 instructors, almost one to one and ourselves. The instructors were excellent and we are now well on our way to achieving the Kennel Club Good Citizen Bronze award. Ask if you can visit prior to starting the class, if they say no, do not go. The aim of puppy training is to provide a good foundation for education, training and socialisation with gentle, motivational, reward based programme. Handling, play and basic obedience exercises form this basis. 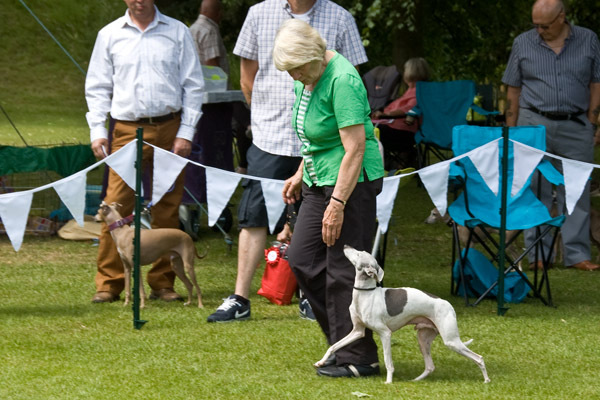 If you wish to follow the national qualification of Puppy Foundation from the Kennel Club (recommended), then this is how to find a club near you. Go to http://www.thekennelclub.org.uk/services/public/findaclub/ this will take you to Find a Dog Club.